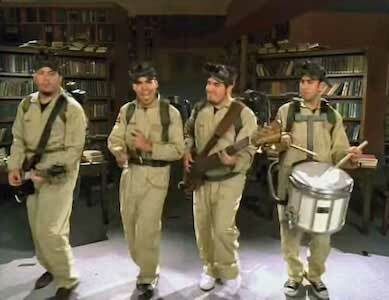 Alien Ant Farm is an American alt-rock band from Riverside, California that was very popular in the early 2000’s, with their songs being featured in films such as American Pie 2 and Spider-Man. They are best known for their Michael Jackson cover "Smooth Criminal”, but released a slew of original hits as well. Their song “Movies” is their most well known original song, and it comes from their album Anthology. Originally released in 2001 to modest airplay, the song was re-released after the rise of “Smooth Criminal” to much greater success, this time charting on both the UK Singles and US Modern Rock charts. Mike Cosgrove (drums) wears black low top chucks in the video. The song “Movies” is about growing up and dealing with problems. The lyrics cover a break-up like it’s a drama on the big screen. There’s someone attempting to save a relationship, their back and forth struggle, finally letting go, and possible reconciliation. This is how many people cope with dramatic situations like this, often picturing moments as scenes in a movie and wishing there was a better ending. It’s a surprisingly deep message for a pop punk song from the early 2000’s. 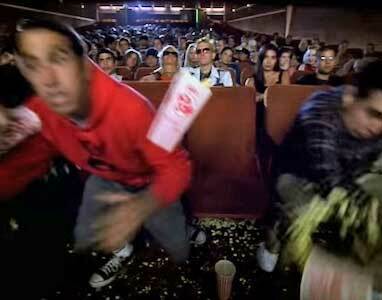 The video takes place in a packed movie theater, with everyone in it a stereotypical punk rock kid from the early 2000’s. That means weird outfits, spiked hair, and a lot of ripped jeans. 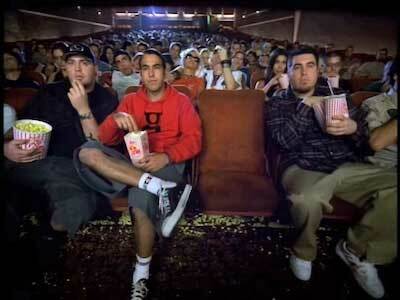 The video starts with a closeup of the band as they take their seats at the front of the theater. Here we see drummer Mike Cosgrove wearing a classic pair of black chucks. Throughout the video, there are references and homages to classic films such as Ghostbusters, Willy Wonka & the Chocolate Factory, The Karate Kid and Edward Scissorhands. At the end of the video, the entire audience jumps through the screen and joins the band as they party on inside the movies. This version of the video was actually the third version created. The first was a behind the scenes video of the band on tour, and the second was a low budget backyard video. This version was created and released after the success of “Smooth Criminal”, when the band was at their peak. The band jumps into the movie screen. Go to the movies in a new pair of chucks by clicking on the links below.